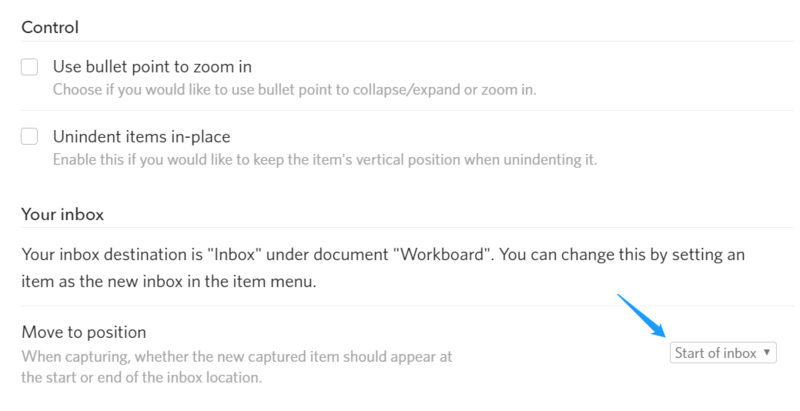 Set an item or a document as your inbox by selecting “Set as inbox” in the item menu. Hit Ctrl+Shift+I (I for "inbox") to start capturing! 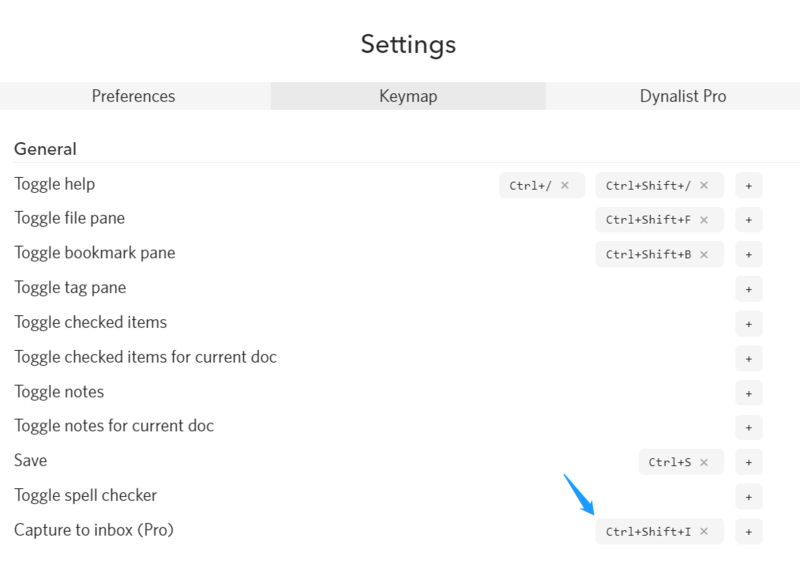 The capture shortcut is customizable under "Keymap" – "General". You can choose to send to top of inbox item instead the bottom in "Settings" - "Preferences" - "Your inbox".